If you’re selling something online, regardless of what it is, our e-commerce web design package is for you. User experience means everything in an online store. As does SEO. You customers need to find you and, when they do, they need to be able to navigate your store to find exactly what they want. You can add as many products as you like, keep inventory, run specials, provide coupons and more. 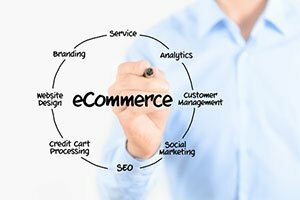 With our e-commerce solution you’ll be selling online and making money in just a few months. Our E-Commerce Web Design Packages start at $3000. We offer 2 payment options for our e-commerce web design package. You can choose to pay 1/2 down and 1/2 on completion. If you need a smaller down payment, for an additional fee, you can make payment arrangements.